CLXU 45ft pallet wide container. The highest rated design and lowest tare weight unit available on the market. 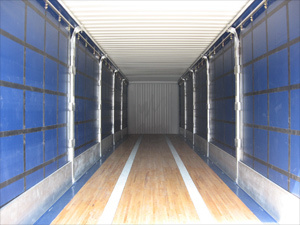 Design features to minimize handling damage; extended roof crash plates, high bottom side rail pallet guides. 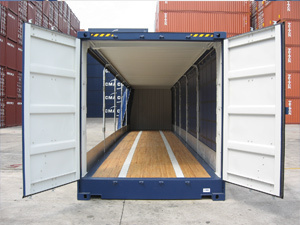 CLXU 45ft curtain side container. Fully multimodal unit; can be stacked, top lifted for rail, ship, truck and barge. Please contact us for details of equipment, lease rates, availability and our terms and conditions. Units are available for several depots throughout Europe.